We have recently started selling Google Cardboard Version 2 virtual reality glasses. If you are looking to buy virtual reality headsets or Google Cardboard in South Africa you can visit our online store for more information on Google Cardboard. You can also buy your Google Cardboard from the online shop. The Google Inspired Google Cardboard is made from high quality components. The headset is basically made from cardboard, high optical lenses, Velcro and a rubber band to hold your smartphone in position. Google Cardboard Version 2 also features a metallic coated button. This button is a big improvement from the Google Cardboard Version 1 button that used a magnet to interact with the phones magnetic field resulting in a button click. The new Google Cardboard button presses against the screen, and this causes a button click to be registered on the phone. This method works with all phones where the previous button system only worked with some phones. The Google Cardboard Glasses is the most affordable virtual reality headset currently in the world, when Google fist launched the Google Cardboard headset many people thought that it was a joke! – However the joke turned out to be one of the cheapest ways for people to experience virtual reality and Google themselves have already sold millions of Google Cardboard devices. The Google Cardboard virtual reality glasses also makes a awesome corporate gift. Many companies have since the launch of Google Cardboard started giving away Google Cardboard devices for free to clients. These include companies like McDonald, Coca-Cola, Volvo, Lexus and many others. Thus Resulting in exceptional feedback and results from their VR marketing campaigns. Possible because VR is still in its infancy and all media houses are talking about VR, allowing for a lot of free PR whenever a company does something in Virtual Reality. With technologies like VR it usually takes sometime for the tech to come to South Africa. We have been involved in Virtual Reality for many years and have kept up to date with stuff like the Google Cardboard, other virtual reality headsets and the technology in general. This is one of the reasons why we were one of the first companies in South Africa to start selling Virtual Reality Headsets and specifically the Google Cardboard Headsets. If you want to buy a virtual reality headset in South Africa you can now buy it from our online store. We manufacture local Google inspired Cardboard VR glasses and also import Google Cardboard glasses. 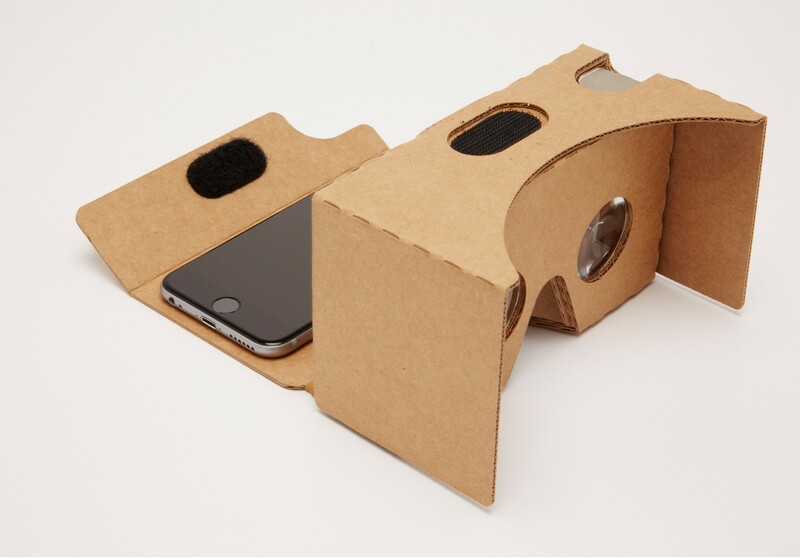 Google Cardboard works with your smartphone. The Cardboard is a viewer, and your phone slides into the viewer. The optics in the Google Cardboard enlarges your smartphone screen, giving you the immersive experience of virtual reality. Smartphones have build in gyroscopes enabling head movement tracking and allowing you to ultimately view 360° video and virtual reality. The Google Cardboard is an awesome device, if you haven’t experienced virtual reality yet, we highly recommend that you get yourself a Google Cardboard VR Headset!